The Ford’s F-150 has been dominating in its class for three decades now and this model has outsold all other vehicles in the US for years as well. It has become a part of life style in the US and it is used as work vehicle as well. The last redesign for F-150 model came for 2015 model year and it probably was one of the most revolutionary redesigns in truck industry ever. The Ford has composed the body of its top-selling model with high-strength aluminum alloy which is much lighter than steel but also equally thought. This move, by reducing the weight of this model by 700 pounds has had great impact on the performance and fuel economy. Ford has also reworked the underbody structure of this model and extensive use of military-grade steel has improved the structure’s rigidity by large margins. It improved its capability but better crash protection is also achieved. Next in the line is downsized and turbocharged engines in this model as another part of this substantial redesign. The interior was also upgraded. For 2016 model year, Ford updated Sync infotainment system and also added Limited trim. 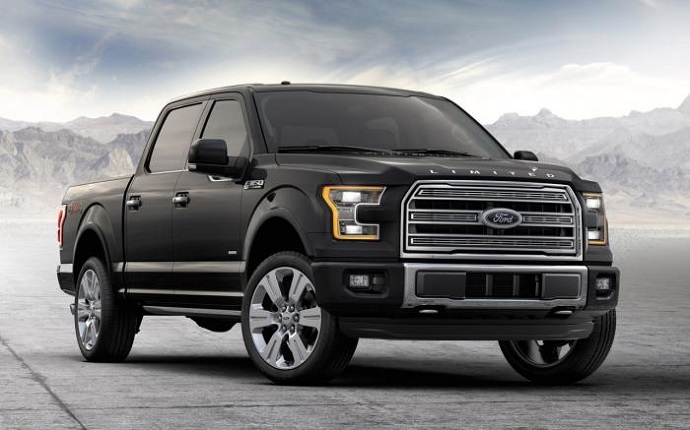 The next in row is 2017 Ford F-150 and expected changes will affect performance segment with stop-start technology incorporated in some engines, and it is also rumored that some changes might be seen on its design as well. Ford will also introduce the second generation of the Raptor model for the 2017 model year. Ford hasn’t announced substantial changes for 2017 Ford F-150 related to its mechanical aspect. So, it seems we won’t see new engine options for this model but a 10-speed automatic transmission might found its way to the equipment list despite it hasn’t been announced for conventional model yet but will be available for the Raptor version. On the other hand, Ford announced that all F-150 model with EcoBoost engines will be fitted with auto stop/start technology which is intended to improve fuel economy and reduce emissions. What dimension of this improvement will be Ford hasn’t specified but we would not expected huge improvement however. On the other hand it is also the matter of speculation that Ford is preparing turbodisel-powered engine for this model but this new powerplant will probably be ready for 2018 model. So, 2017 F-150 will probably come with familiar engines and with not much changed towing and hauling capabilities. The base engine for upcoming model will be familiar naturally aspirated 3.5 liter V-6 unit which produces around 282 hp and torque of 253 pound-feet. Next level engine option will be turbocharged 2.7 liter V-6 which currently delivers 325 hp and 375 lb-ft of torque. The next not turbocharged but power and fuel economy still relevant option is a 5.0 liter V-8 engine with 385 hp and 387 lb-ft of torque. At the top on the line will be turbocharged 3.6 liter V-6 which will be capable at least for 365 ponies and 420 lb-ft of torque. As for towing the current configuration leader is 3.5 liter based powertrain with 12,200 of max towing capacity while 5.0 liter unit allows 11,100 pounds. The base and 2.7 turbocharged engines allow 7,600 and 8,500 pounds respectively. We don’t expect big changes in this aspect for the upcoming model and same case is with fuel economy which should stay close to 20 mpg combined for all engine options except 5.0 liter powertrain which will return around 17 mpg combined. As far as design is concerned, the Ford F-150 hasn’t actually evolved much in that area over the years. Since its redesign with aluminum body it actually features blockier and bolder design which may not have been expected for modern times. However, it is probably connected with hard and expensive process of aluminum shaping and therefore the manufacturer can most effectively change its appearance with new grills, lights, bumpers and trim inserts. So, some sources are suggesting that new 2017 Ford F-150 might go with new grille design which includes new slats arrangement and dimensions. It is also possible that lighting clusters will be updated in order to bring in some effective and low cost changes. Other than that, the top-selling vehicle will continue unchanged in terms of exterior style. The model will of course be available in regular, Supercab and CrewCab body styles and array of trims. There is also expected three bed lengths depending on body style and some modest dimension changes are possible. Interior side will offer space, comfort and equipment level depending on body style and chosen trim and it will be incrementally richer with each higher trim. The Ford will offer well-arranged and easy to use center control panel which will also include large Sync 3 system based touchscreen. Other convenience like heated, ventilated and power adjustable seats, leather upholstery, automatic climate control, heated steering wheel and many more will be available across the lineup. A crew cab models will deliver suitable rear seating and plenty of in-cab storage space. The safety is also priority for the Ford and new model will include array of passive and active safety systems and with tough body shell and construction it will certainly be well guarded machine. It will include standard and usual features like full airbag package, stability and traction control, parking sensors, surround view camera but also more advanced options like forward collision warning system, blind-spot monitoring, lane departure warning, etc. The company hasn’t disclosed the launch date and price of new conventional 2017 Ford F-150 version but we know that Raptor version will be available this fall. However, the price of new F-150 will likely stay very close to the current model boundaries.